According to Seattle's Best Coffee, roughly 63 million Americans have to work on Black Friday. 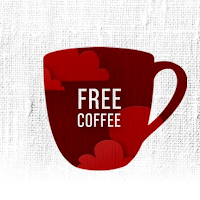 Good thing they are offering free coffee samples to perk things up! Be sure to hurry on over and request your free sample before they are gone! **0.71oz sample of Seattle’s Best Coffee Level 3 ground coffee. While supplies last. Limit 1 per customer. Day 29: 30 Days of Giving Thanks - Black Friday!